The Apple II is an 8-bit home computer, one of the first highly successful mass-produced microcomputer products, designed primarily by Steve Wozniak (Jobs oversaw the development of the Apple II’s unusual case and Rod Holt developed the unique power supply). It was introduced in 1977 at the West Coast Computer Faire by Jobs and was the first consumer product sold by Apple Computer. 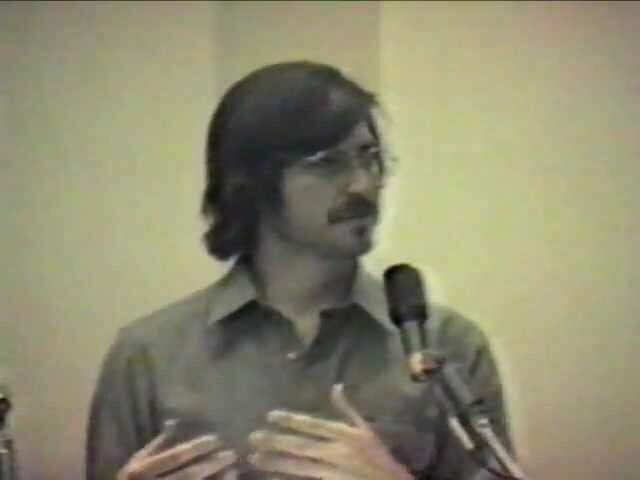 Here, Jobs talks about the brilliance of the computer, predicting, “I don’t think the Apple II is ever going to be obsolete.” He was almost right. The last Apple II series computer was made 13 years later.